This has been a breakout season for the Edmonton Oilers. Not only have the Oilers qualified for the NHL playoffs for the first time in a decade but young superstar Connor McDavid is leading the NHL in points and assists. Here is a look at some of the NHL Leaders heading into the final week of the season. 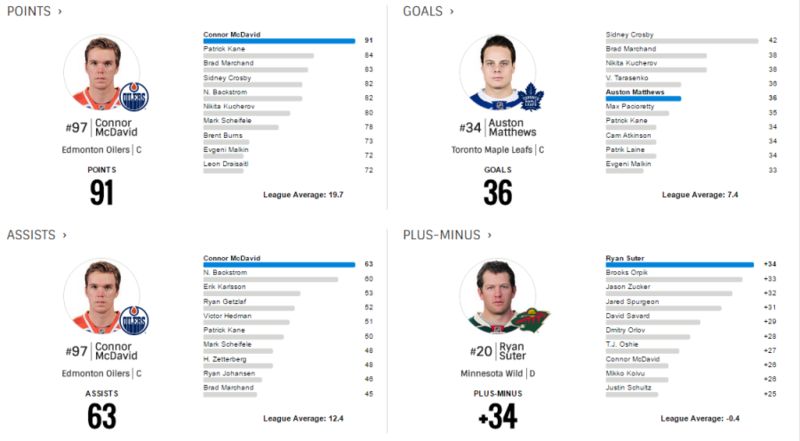 Stats courtesy of NHL.com. Here are the top scores heading into the final week. Can Connor McDavid hit the 100 point mark? With 5 games left he needs nine points. It could happen. Here is a look at the top 50 scorers heading into the last week of the 2016/17 NHL season.